Do you know what i love about ham and cheese? just about everything. Its so sweet, but salty at the same time. Can you imagine crispy chicken with salty and sweet all together? YEP. this happened…. Preheat the oven to 375 degrees. 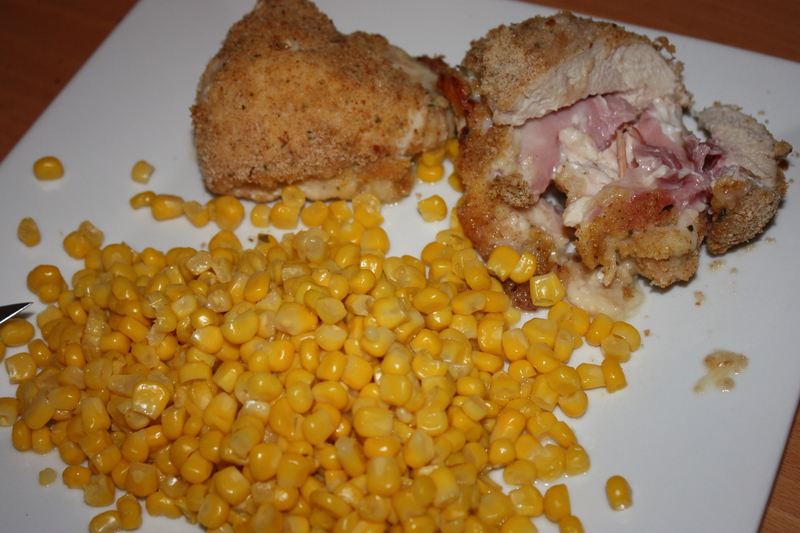 To butterfly chicken, lay the breast on its side and slice it down the middle. There should be two pieces after. Do this to all the 4 breasts, making 8 slices. 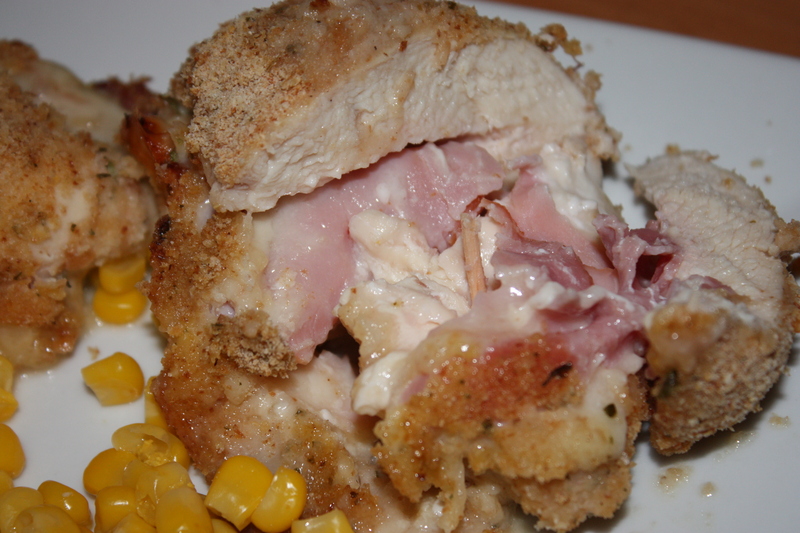 Take the sliced chicken breast and top it with the mozzarella cheese, about the same length and width of the chicken. 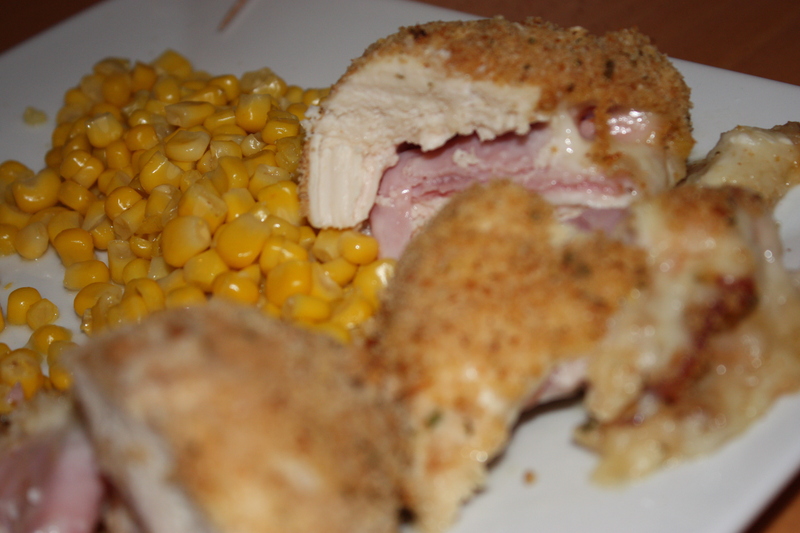 Do the same then with the ham, and then finally top with another layer of cheese. Take the longest side of the chicken slice and start to roll upwards, slowly, using the toothpicks to hold the meat together. Set aside. Crack the egg into a bowl, mix. 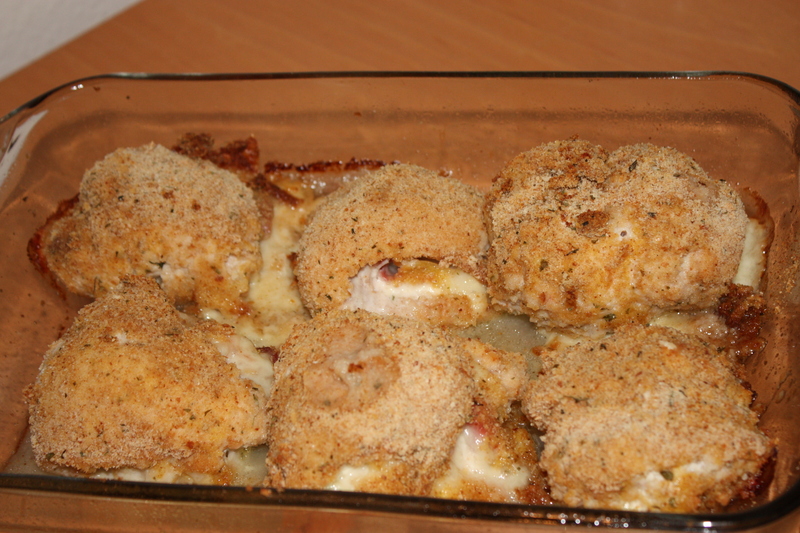 Then pour the breadcrumbs into a plate as if you are making cutlets. 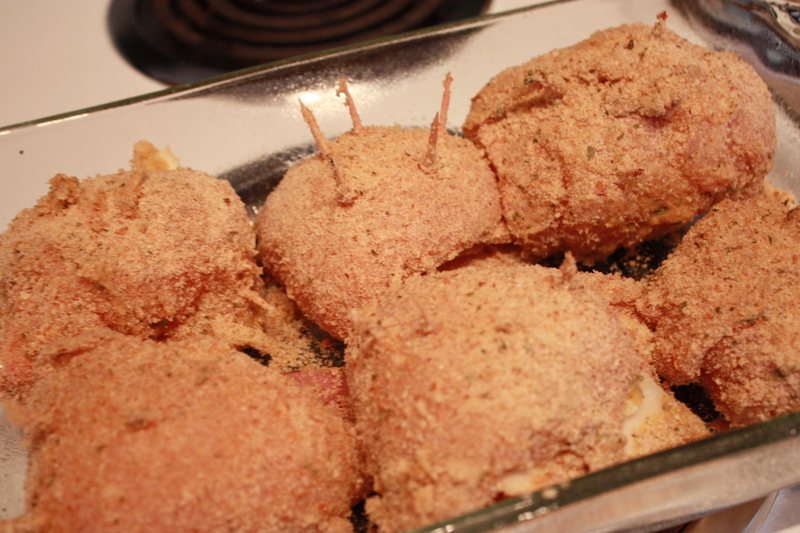 One by one, take the chicken rolled up and dip it into the egg, then roll in the breadcrumbs coating the chicken. 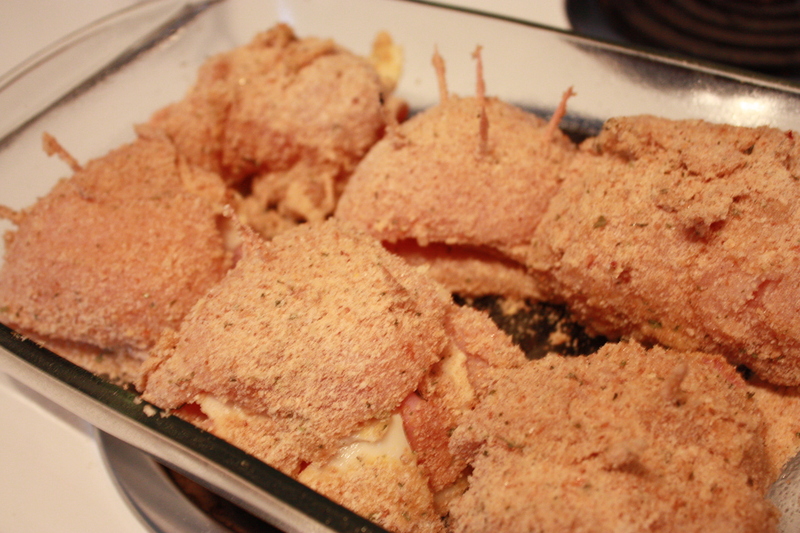 Place the chicken roll ups into a 9×13″ pan side by side. Right before placing into the oven, spray the top of the chicken with a one time spray of cooking spray just to make it more crispy. Bake at 375 degrees for 1 hour. Take out all toothpicks and serve with veggies or mashed potatoes. This came out SO good. Probably one of the yummiest things ive ever made. PLEASE TRY it took me 20 minutes at MOST to prepare this entire dish. P.S. – I accidentally left a toothpick in the pictures i took below. WOOPS!